Are you looking for unique experiences in Costa Daurada? Salou has scheduled a wide range of suggestions during the whole summer, which will seduce you and satisfy your all of your concerns and curiosities. We are talking about activities which are adapted to allaudiences. Art, culture, music and traditions are some of the most important attractions of this summer in Salou which will indeed leave you with an unforgettable and magical memory of the city. If you are a beach lover, we recommend you to stroll along one of the nine different beaches that the city offers you. You can complete this plan with different nautical activities and a Mediterranean meal next to the beach. 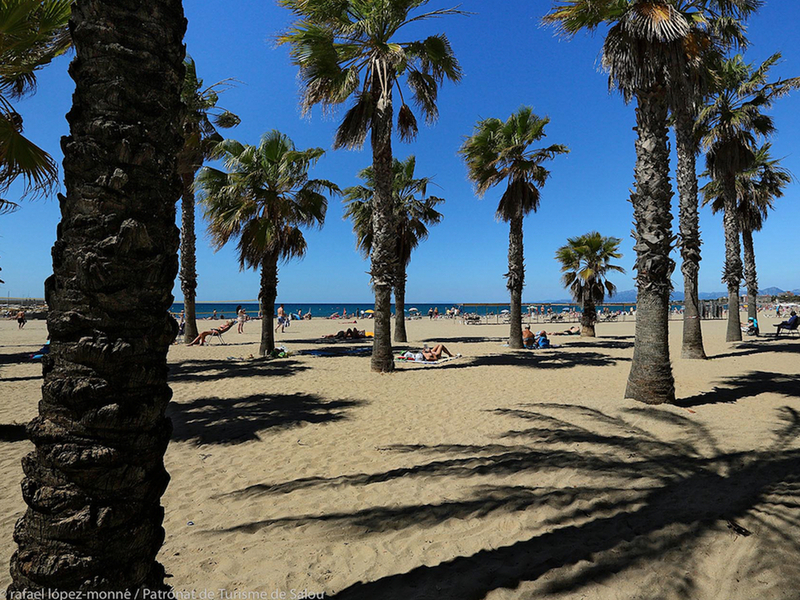 However, Salou is much more than just the sun and the sea. The capital city of Costa Daurada is tradition. For this reason, we invite you to enjoy the traditional Calada de Malles de Sant Pere, on the 19thAugust, at 20.30h, in Ponent-Espigó del Moll beach. Moreover, we also recommend you to have a look at sardanes (on the 22nd July, 12th August, and 11th September) in Passeig Jaume I, at 20h; andhavaneres concerts that will be held on the 29th July (Parc de la Ciutat), the 8th August (Plaça de les Comunitats Autònomes) and the 26th (Cap Salou, Cala Crancs) all of them at 20h. 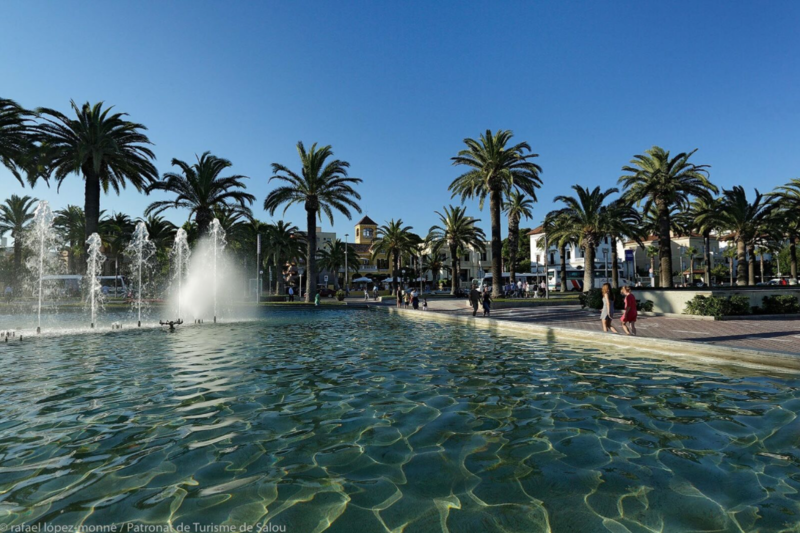 In Salou, during the summer, there are two important scenarios; the Masia Catalana and the Fountains. The Masia Catalana hosts until September 30th, from 19h to midnight, a wide range of craft products. On the other side, the Fountains will make you live magical moments with their shows full of light, colours, music and water. You can check the different schedules here. Salou, as an ideal destination for families, also offers different activities for kids, like the Sésamoaventura shows or the outdoors cinema. As for teenagers, on the other hand, will also have fun with a musicalprogramme where there are some of the main celebrities of this summer’s soundtracks, such as Luis Fonsi or Rosario. Many workshops and activities, the Festival Internacional de Música Costa Daurada-Salou, and the summer market are some of the activities that you can live this summer in the capital of Costa Daurada. Salou is the perfect destiny for your holidays this summer. We are waiting for you! Do you have any information yet as to anything that will be happening in Salou next summer, during 6th July 2018 when we arrive for our holiday, until 14th July? I know it’s abit far in advance but thought I’d still try. Good morning Christina! Sorry for the delay. As you suggest, it is too early to know exact details about next summer, but we tend to keep what people like the most (things like the Fountains, Sésamo On Tour, concerts, etc) and improve what we think should be improved.